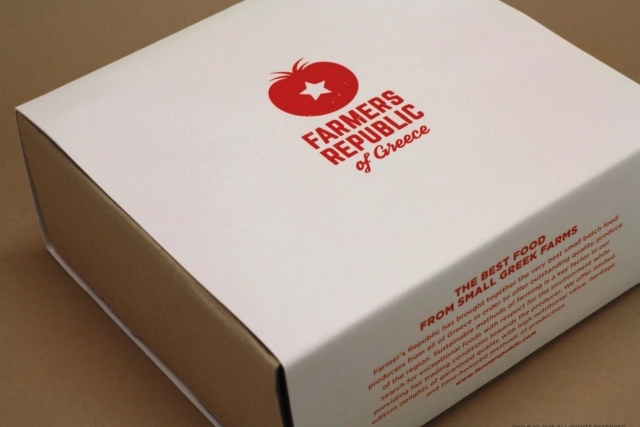 We at Farmers Republic of Greece are proud to introduce to you our latest launched product range of corporate gift boxes. Our focus is on quality, origin and outstanding customer service to create a range of products, made exclusively by Farmers Republic of Greece, to meet your corporate gift box requirements. Throughout our travels all around the country we manage to capture the food culture of Greece and discover its most distinctive products, rich in colors, aromas and memories! 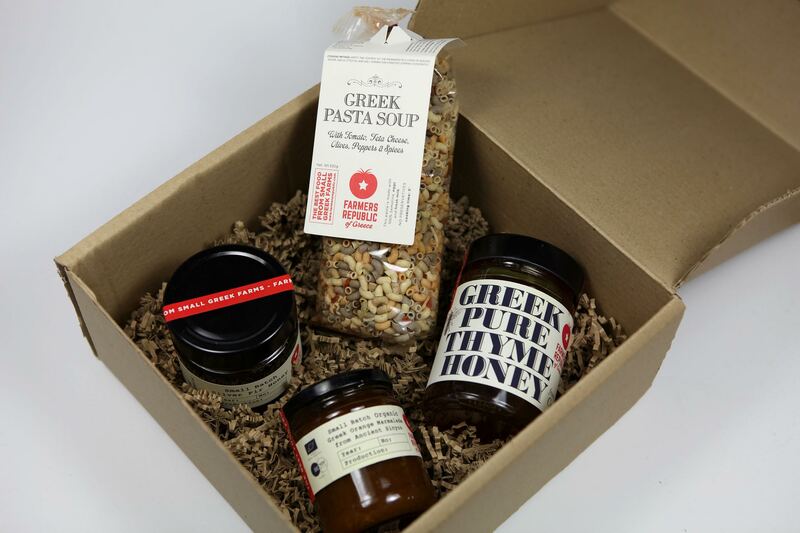 Our close cooperation with our producers give us the possibility to ensure for you every special requirement you have for any product all around Greece. We recognize that every client is different. Whether you are rewarding clients or employees you have your own requirements and may wish to tailor a bespoke corporate box to suit your recipients. 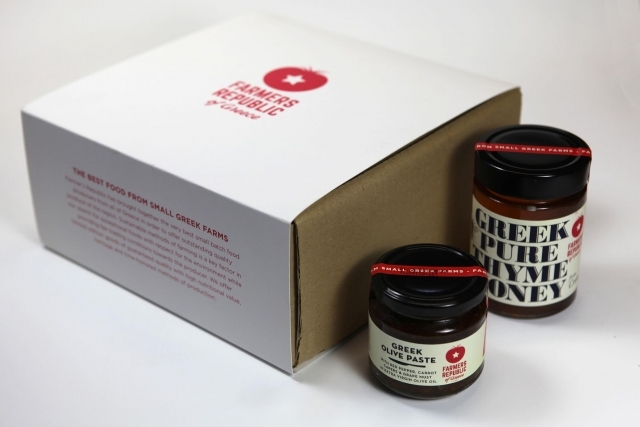 Your company’s logo can be printed to each product of your choice, even on the boxes sleeve. Gift your clients and colleagues a personalized box and ensure your message is received in luxury! Our boxes can delivered directly to your recipient all over the world. 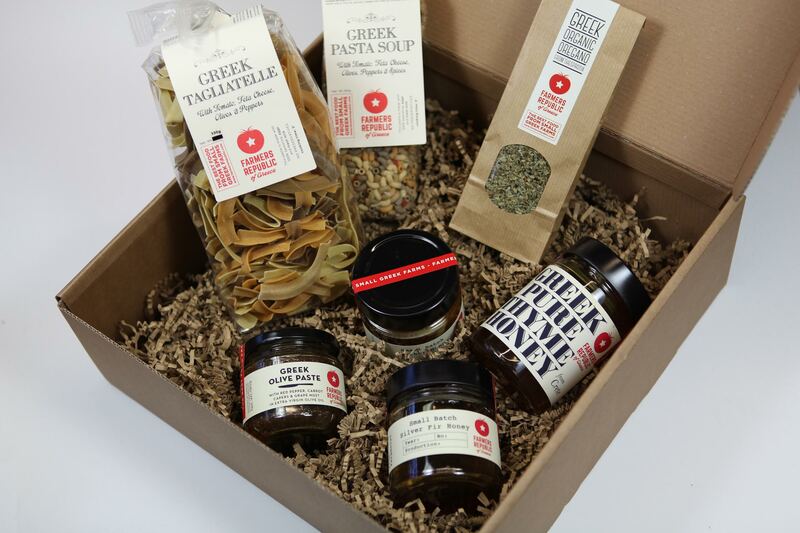 Our traditional products, as ambassadors of Greek cuisine, let you take home the essence of Greek food, no matter where home is! 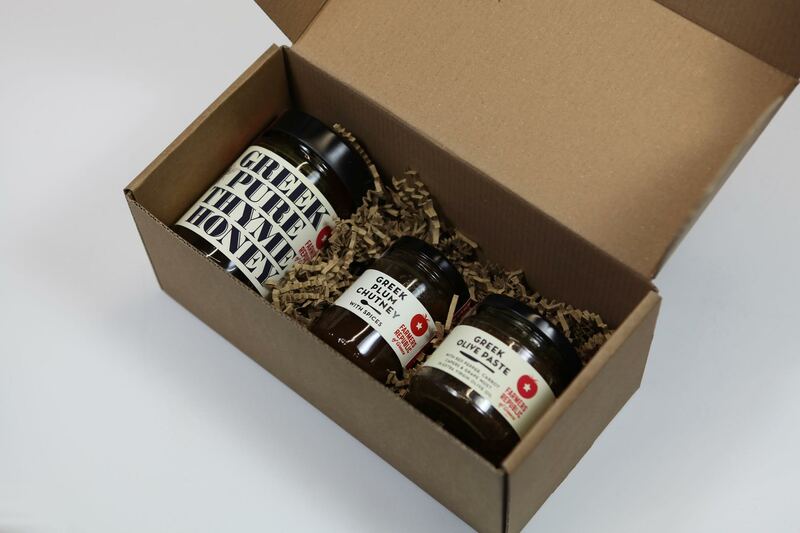 For your own composition of a gift box please note that when you select the items in your cart, you should extra add the gift box pacκ! Working together to meet your brief and budget we can create the ideal corporate gift that is unique to you!